Portable generators are versatile. They can be used for a variety of tasks depending on how powerful they are. If you are unsure what kind of generator to buy, a portable generator is a good compromise. Their design lets you move them when not in use. They also come in a range of power or watts. 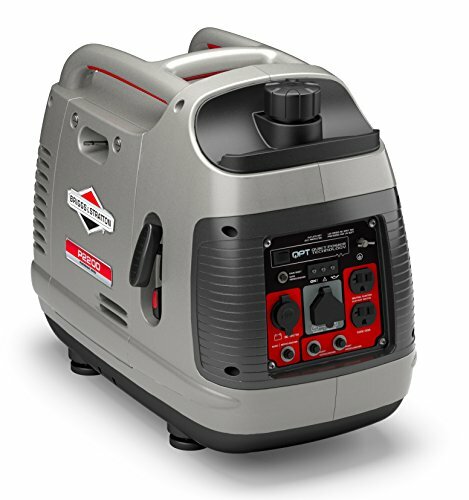 Here is a list of the best portable generators available now. 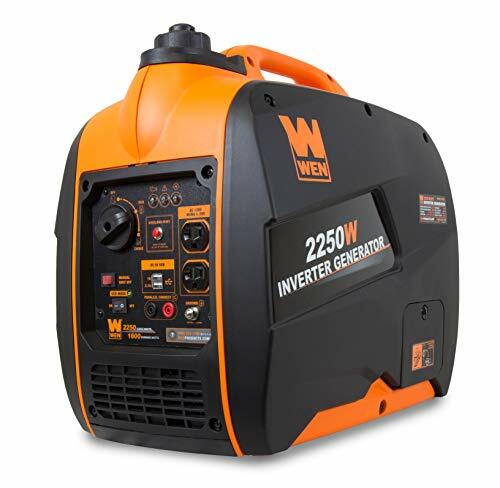 Included are both smaller portable generators ideal for bringing along on the road and larger more powerful portable generators for work sites or as a home backup generator. Some of the portable generators featured are inverter generators. These have been included for their mobility and practicality. The WEN56225i has everything you need. It is lightweight, quiet, and low maintenance. It also has a low fuel shut-off and less than 1.2% total harmonic distortion meaning it is safe for sensitive electronic devices. The power is already decent for its size but you can double it thanks to its parallel kit. One disadvantage is that it only has a pull start. This compact highly portable inverter generator ticks all the boxes. It only weighs 55 pounds, is much quieter than comparable models and has decent power. The only disadvantage is that it has a small fuel tank but this is forgiven thanks to its energy efficiency. This inverter generator also only has a pull start, unfortunately. 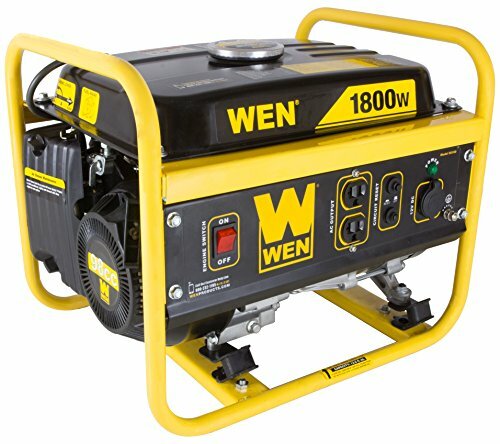 Sometimes you just need a a lot of power which is exactly what this portable generator delivers you. It has an impressive running power of 7000 watts which is enough for a home backup generator. The design also makes it a good tool for work sites. However, it is a very heavy model at nearly 300 pounds. Despite the wheels and handle, this generator should be moved by at least two people. The WEN 56180 has a quite a few things going for it, especially its price. The only disadvantage that it is quite a large size for the amount of power you get. However, at 1800 watts starting power and 1500 watts running power, it is still a good option for occasional use. Other benefits of the model are that it is EPAIII and CARB compliant. This means that it is approved for use all over the United States, even inside national parks. Most solar power generators have less power than its fuel-powered counterparts but this model by Aeiusny matches the power of many small portable generators. The Aeiusny wins for practicality and safety alone. There are no hassle and hazards associated with fuel and exhaust fumes. In case of little sunshine, the generator can be charged through a wall outlet. 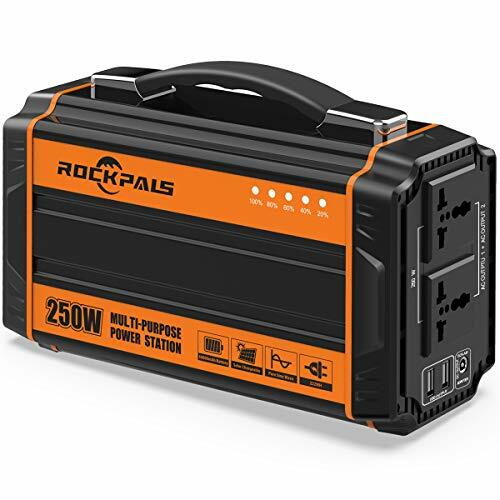 LARGER CAPACITY : 288Wh/500W powerful portable battery for indoor/outdoor usage, CPAP, small home appliances, etc. This is a TRUE LIFE SAVOIR! BUILT-IN PORTS : 3 AC outlets/4 DC ports/4 USB ports; convenient and neat composition, suitable for home/camping. When you are in an emergency, it can be used as a Battery Backup. Sometimes, you really don’t need that much power. This small solar power portable generator only has a running power of 250 watts and starting power of 300 watts. This is enough to charge personal electronics like laptops, fans, drones and lights. The battery is extremely lightweight at only 5.5 pounds so easy to carry anywhere. The solar panel is not included but you can also recharge the portable generator through a wall outlet. This model is a true workhorse. 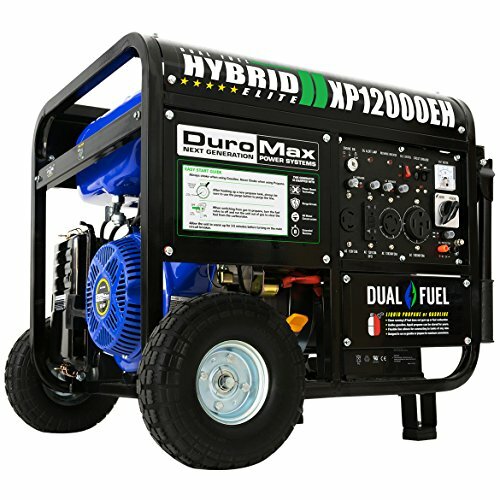 The power of the other portable generators on this list fade away with the massive 12000 running watts of the DuraMax XP12000EH. This is a heavy-duty portable generator made for industries and to power homes during extreme weather conditions like hurricanes. It is a hybrid so you have the choice of either using liquid propane or gasoline. An honorary mention on the list is the Yamaha EF2000iSv2. 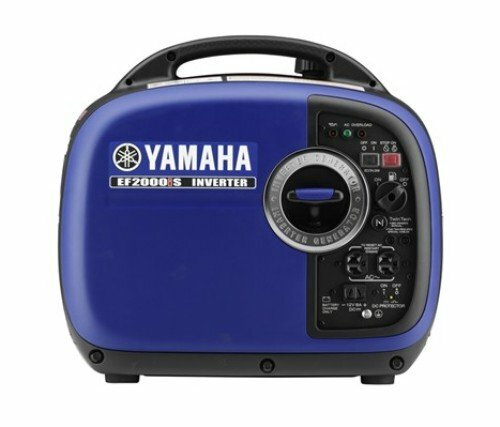 Yamaha is not a common name in the world of generators but this model stands out with its retro design. It is shaped like an old-school radio. Don’t let the aesthetics distract you, though. This inverter generator has decent power for its small size. You can even use the parellel function to double the power with a second unit. It is also extremely quiet at only 52 dB at a quarter load. We have already discussed how to choose a generator type in our generator buying guide. Portable generators are still the most popular kind of generator so it deserves its own buying guide. Here we go into further detail on how to choose the right portable generator. We also discuss how to properly install and handle one. There is a lot of variety between portable generator models making this the most versatile type of generator. 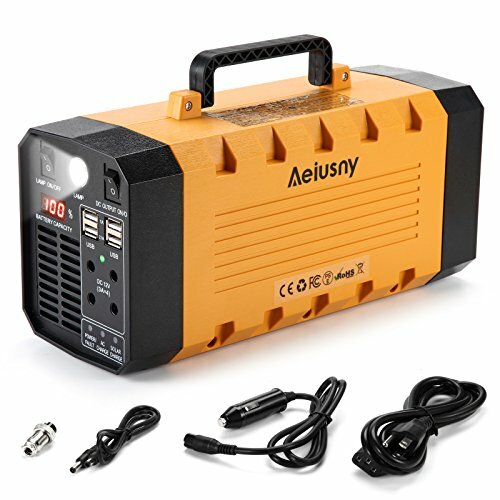 There are smaller portable generators that are reasonably lightweight and easy to carry around. These are best used for camping, an RV or for off grid use of appliances. A compact portable generator is a good choice when you don’t need a lot of power. Larger portable generators are powerful and suitable for heavy duty use. They are an alternative for a home standby generator, the more economical choice when power outages are rare. Large portable generators are also good for work sites. Aside from the purpose of a portable generator, also consider the laws and regulations regarding generators. These might differ per state or country. Common quality labels are EPA, CSA and CARB for California. The best energy source for a portable generator is actually solar power. This is because there are fewer hazards associated, no exhaust fumes, a clean energy source and economical. Solar powered generators also include a rechargeable battery that can charge through regular outlets. Though this is a newer development in portable generators, it is a growing trend. The main disadvantage of solar powered generators is that the current models are generally less powerful compared to the fuel powered models. This means that they are less suitable for use as a home backup generator or at outdoor work sites. Most portable generators still run on either gasoline, liquid propane or an oil/gas mix. Of these three, the oil/gas mix is the best option because you don’t have to perform oil changes. 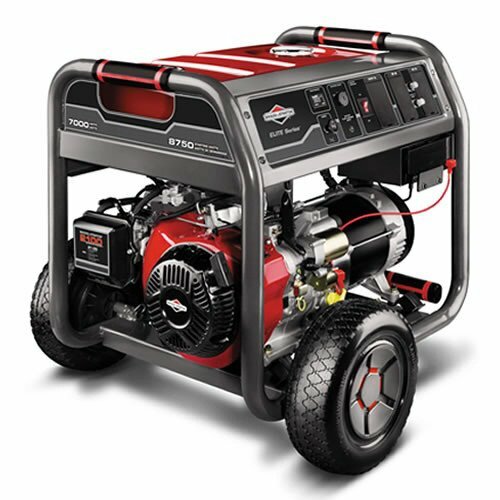 When purchasing a gasoline powered portable generator make sure to include a fuel stabilizer. This prevents damage to the machine, especially when it is not in use for longer time periods. However, you should still perform test runs on a portable generator every few weeks. The placement of a portable generator is very important. There are many hazards associated with a portable generator including the silent killer; carbon monoxide poisoning. Safe placement is a key preventative measure. A portable generator should be placed on a flat non-slippery surface where it is free from moisture, soil and dirt. If you store your generator outdoors then keep it under a waterproof cover when it is not running. Only run a generator outdoors and from a safe distance from any buildings. The standard acceptable distance for a fuel powered portable generator is 15 feet. The exhaust fumes should be released away from any buildings, air vents and windows. Never run a portable generator in an enclosed space or indoors. This traps the fumes and is extremely dangerous. Also, store a portable generator with an empty fuel tank when possible. This prevents the accidental release of flammable gases. Always follow the user’s manual and take all necessary safety precautions when handling a generator. Only refuel when the generator is turned completely off. Never fill a fuel powered portable generator to the brink. The oils and gases need space to expand when the generator is running. An overfull fuel tank leaks which can cause fires. Overloading a generator can cause damage to both the generator itself, wiring and the devices and appliances connected. Spread the load over several outlets when possible but never use all outlets at once. Using all outlets simultaneously should only be done during emergencies. Always carefully follow the manufacturer’s instructions. Don’t skip any steps. Make sure the generator is grounded to prevent electrocutions and damage to the connected devices. Start and stop the generator according to the user’s manual. Especially when the portable generator is used as a home backup generator, following all the required steps precisely is important. Install a transfer switch to prevent the generator from running while there is still an electricity supply. Do not connect any electrical appliances before the generator is running properly. Disconnect the devices before switching the generator off. Disconnect all cables and electrical appliances when the generator is turned off.